Have a pampered Mother’s Day with your dearest Mamatron in your favourite Spa! Enjoy pure relaxation with your Mum with a Spa session, Full Body Massage and gifts at The Relaxation Centre. 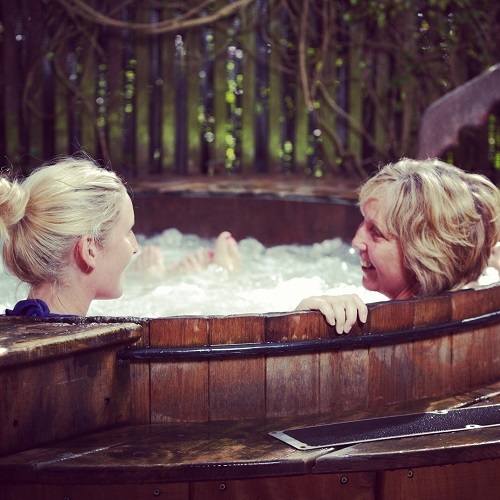 Soothe away your stresses in our Outdoor Hot Tub, invigorate yourself in the Plunge Pool, clear your head in the Eucalyptus Steam Room or indulge in tea and treats in our Relaxation Lounge. Then ease your muscles and feel truly pampered while enjoying a one hour Holistic Massage with your Mum in one of our newly decorated treatment rooms. Make the most of your Holistic Massage by purchasing a half hour Infra Red Sauna beforehand: just £9 per person!